The practical Sneeboer Narrow Long Handled Rake has a multitude of uses in the garden and the narrow rake head (10cm wide with 8cm deep tines), in tandem with the long handle (174cm overall), allows for accurate work from a distance. 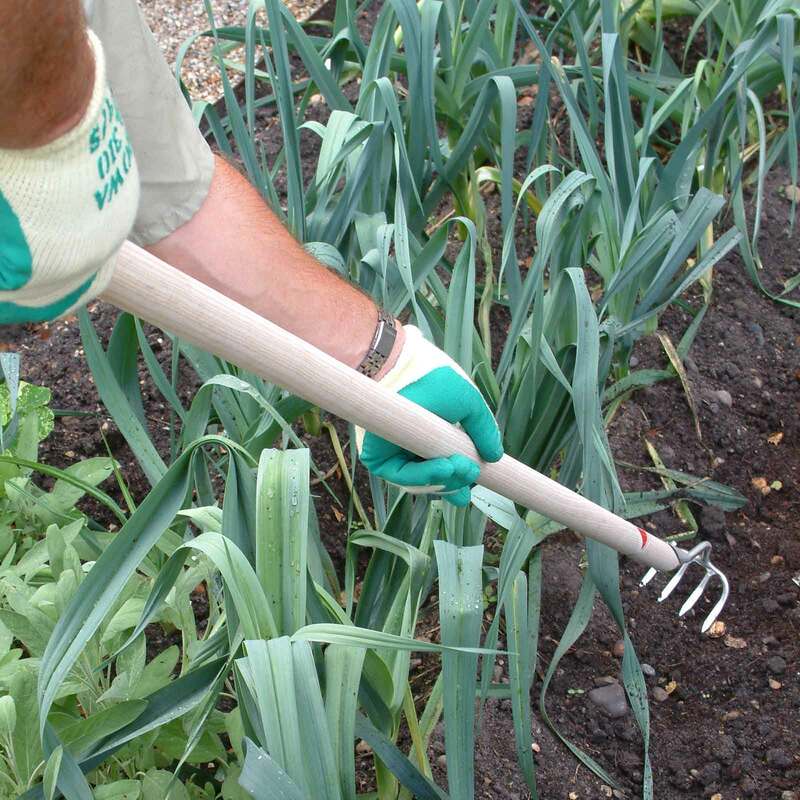 The narrow rake is suitable for all regular garden tasks such as cultivating, raking, removing weeds and spreading mulch and fertilisers. 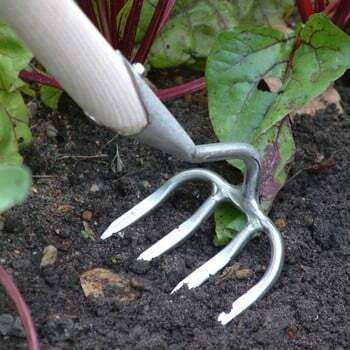 A wonderful narrow headed rake which is really useful and adaptable. 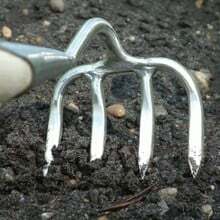 At last I have found a gardening tool which is better than my old rake which I have treasured for 30 years. 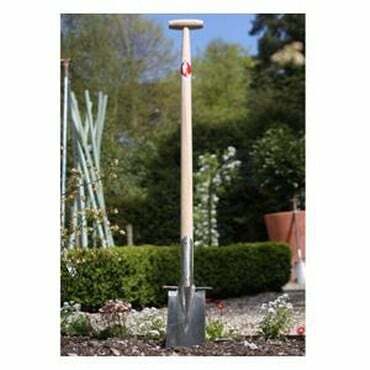 That was my first gardening implement for my first house and it has worked very well helping me in all my gardens. It will stay in the shed for old times' sake but the Sneeboer will be the one I shall use in future. It really is a delight to use being light and strong and so neat among plants. 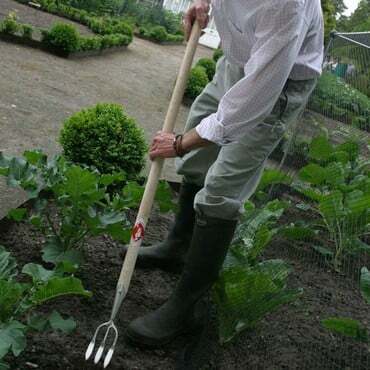 Well done Sneeboer. 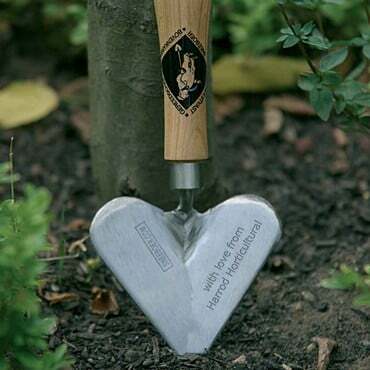 I am lucky enough to have a few Sneeboer tools and they are all of good ergonomic design and well weighted for their use making any job so much easier and more rewarding. 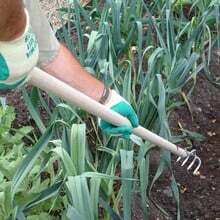 This rake is absolutely perfect for getting into very tight spaces between rows, the build quality is outstanding and will I am sure last a lifetime. I love this rake. Not too big but not too small that the job takes you twice as long either! 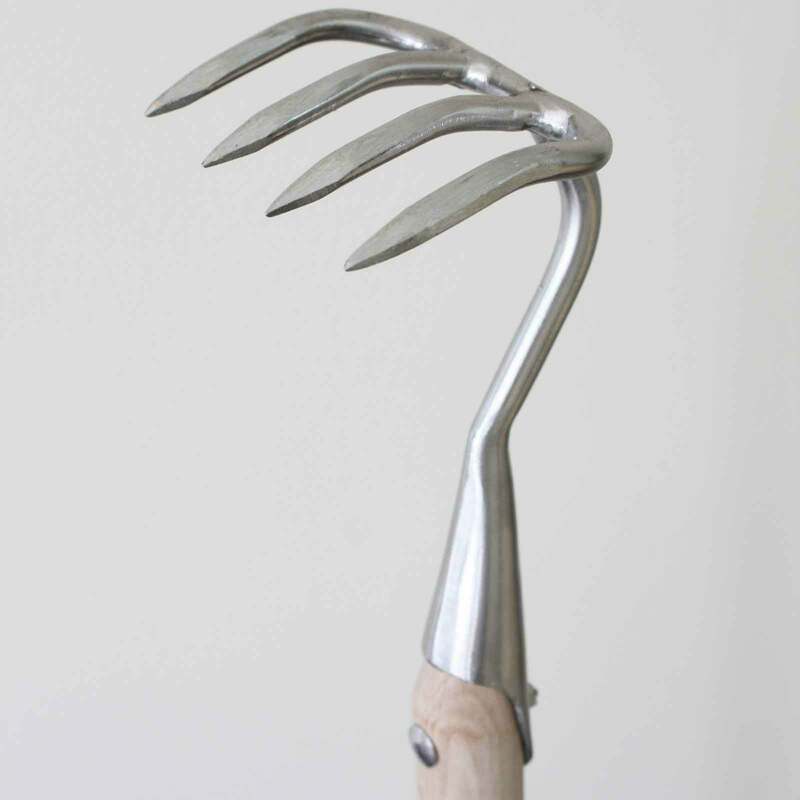 As with all the Sneeboer ladies tools it looks great and is fabulously comfortable to hold! Being lucky enough to now own half a dozen of the ladies' range of products, I've yet to be disappointed! Thanks!